Celebrating war nurses this Memorial Day. These women courageously served their country. They will be great for many types of designs. They are eye-catching and lovely. Not all are shown. The images in the promo have been reduced. Celebrating courageous and caring hearts. 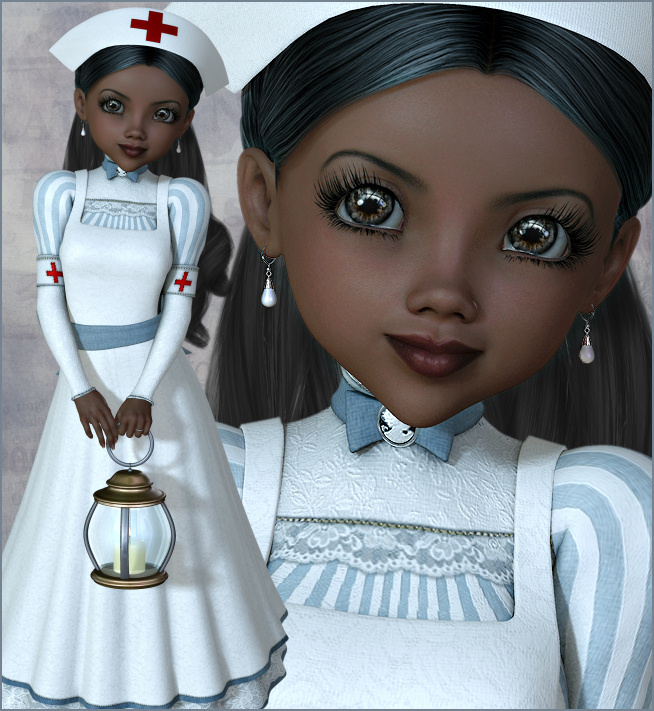 War Nurse graphics for Memorial Day or any historical or patriotic holiday. Throughout history, heroic women from various backgrounds have volunteered to serve their country as nurses during times of war. They even served in the front lines and these brave acts earned them gratitude and respect from the soldiers that they helped. Many lost their lives in battle or contracted diseases while caring for their patients, making the ultimate sacrifice. This package was created in honor of the brave women with caring and courageous hearts who relieved suffering and made a positive difference in the world. This package has four versions of most of the nurses, including an African American version and versions with long hair. They wear typical nurses outfits from the Victorian era. These uniforms would also be consistent for WWI designs. The seamless tile on this page is included in this package and is in the first zip. The size of these images varies, but they are, on average, about 1100 X 2500 pixels. All are 300 DPI, making them great for print projects. These graphics would be great for web design, template design, graphic design, t-shirt design, candy wrappers, digital scrapbooks, print transfers, DIY crafts, Zazzle projects, Cafe Express items, card making, embroidery designs, fabric blocks, address labels, business cards, newsletters, stationery, invitations, banners, crafts you print, paper projects, digital stamps, signature tags, and more. Please read my terms to learn more. This package is two zip files, which are approximately 48 MB each.